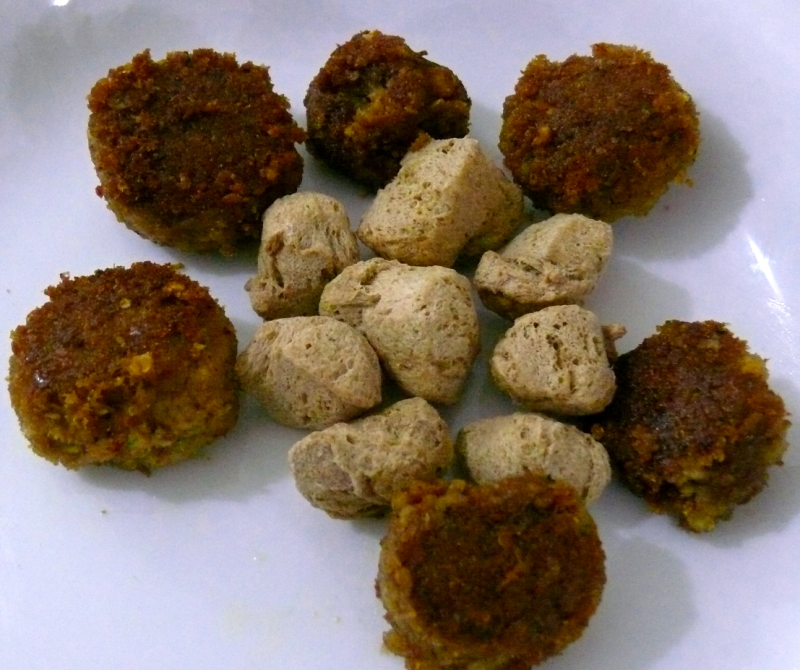 Ground soya chunks fried in oil with spices.This will taste like keema balls fry. Try and add your comments. Soak 1 cup of soya chunks in boiled water for 2 mins and drain all the excess water, squeeze them with and put them in a mixi and run for a second. Add all other ingredients except refined oil and grind them into a smooth paste without adding water. Shape them into balls . Serve them hot with tomato ketchup or with rice and sambar. Soya chunks should measure atleast 100 gms in the above recipe.Hi Rajeshwari, another tasty simple soyachunks fry is boil the soya chunks with chilli powder,turmeric powder and salt for 2 mins in water, then put the chunks in cold water for a min and squeeze the excess water(don't dedhape them) and put chilli powder,turmeric powder and salt and mix them well and shallow fry them with curry leaves. christy thanks for a delicious crispy one,i don't grind but i shallow fry to brown color & at the time of serving i put into the Chena (yam),Brinjal kootu & in Sabji.it tastes crispy and tasty.